VXc-486 potent drug: A new drug approach in tuberculosis treatment. Citation: Sharma AK, Sharma V, Rathor R, et al. VXc-486 potent drug: A new drug approach in tuberculosis treatment. J Transl Res. 2018;2(1):8-10. Antitubercular, Aminobenzimidazole, Gyrase B, VXc-486, Potent. Tuberculosis (TB) is a communicable disease sometimes caused by the microorganism mycobacterium tuberculosis (MTB). Tuberculosis usually affects the lungs, however may have an effect on different elements of the body [1-3]. Tuberculosis (TB) is one of the top most ten causes of death worldwide. In 2016, 10.4 million people fell ill with TB, and 1.7 million died from the disease. Over 95% of TB deaths occur in low- and middle-income countries. Seven countries account for 64% of the total, with India leading the count, followed by Indonesia, China, Philippines, Pakistan, Nigeria, and South Africa. TB is a leading killer of HIV-positive people: in 2016, 40% of HIV deaths were due to Tuberculosis (TB) [4,5]. When individuals with active respiratory organ having TB and the individual cough, sneeze, speak, sing, or spit, they expel infectious aerosol droplets having size of 0.5 to 5.0 μm in diameter is taken by another person will get infected. Every one of those droplets could transmit the illness, since the infectious dose of TB is incredibly small . About 90% of those infected with M. tuberculosis have asymptomatic, latent TB infections (sometimes known as LTBI), with only a 10% lifetime chance that the latent infection will progress to overt, active tuberculosis disease. In those with HIV, the chance of developing active TB increases to nearly 10% a year [7,8]. Anti-tubercular agents inhibit the growth of Mycobacterium tuberculosis. These drugs are to be taken in combination form. For the treatment of TB, these drugs are given in multi-drug therapy (MDT). Many of Anti-tubercular agents act by inhibit the growth of bacteria by cell wall synthesis inhibition and protein synthesis inhibition, which are essential part of DNA synthesis. But some Anti-TB agents act by inhibition of enzymes that are essential for Mycolic acid synthesis [1-3]. 5. P-amino salicylic acid . VXc-486 is a potent antitubercular drug belonging with aminobenzimidazole category. The novel aminobenzimidazole, VXc-486, which targets gyrase B, potently inhibits multiple drugsensitive isolates and drug-resistant isolates of Mycobacterium tuberculosis. VXc-486 inhibits the DNA replication and also blocks DNA replication [10-13]. VXc-486 is crystalline and flakes in yellow color having solid state. It is crystalline solid at room temperature that show physical characteristic of the drug. VXc-486 is water insoluble potent anti-tubercular drug which is the Aminobenzimidazole family drug . Solubility: VXc-486 is yellow crystalline powder soluble in DMSO and insoluble in water. Storage: Store at room temperature in well closed container. The below structure is the chemical structure of VXc-486 drug (Figure 1). 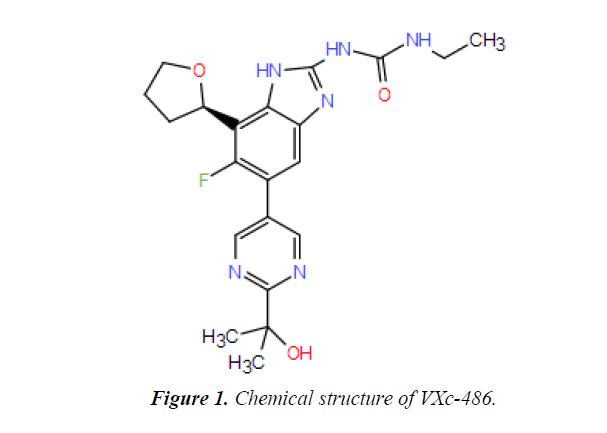 Figure 1: Chemical structure of VXc-486. Appearance: VXc-486 is solid crystalline powder in nature with yellow colour. Purity: The purity of VXc-486 is approximately 98%. Solubility: VXc-486 is slightly soluble in DMSO (di-methylsulfoxide), but is insoluble in water. Drug formulation: The drug may be formulated mostly in DMSO [14,15]. VXc-486 is the novel drug of anti-tuberculosis class which belong the category of aminobenzimidazole . VXc-486 inhibits the DNA gyrase-B which is the topoisomerase 4th and blocks the replication of DNA. VXc-486 inhibits the multiple drug resistance of Mycobacterium tuberculosis [16- 19]. Anti-tubercular activity: Vxc-486 is used as anti-tubercular agent. It shows anti-tubercular activity by blocking DNA gyrase-B. Antibacterial agent: Vxc-486 is widely used to inhibit the bacterial growth by inhibiting the DNA and cell wall synthesis [20-23]. Seeing a physician consistently while taking anti-tuberculosis drugs is imperative. The physician will check to ensure the pharmaceutical is acting as it ought to and will look for undesirable reactions. These visits additionally will enable the physician to know whether the measurements should be changed. Manifestations should start to enhance inside half a month after treatment starts with anti-tuberculosis drugs. On the off chance that they don't, or in the event that they turn out to be more terrible, check with a physician. A few people feel sluggish, mixed up, confounded, or less ready when utilizing these medications. Some may likewise cause vision changes, awkwardness, or precariousness. As a result of these conceivable issues, any individual who takes anti-tuberculosis medications ought not drive, utilize machines, or do whatever else that may be risky until the point when they have discovered how the drug influences them. Every day dosages of pyridoxine (vitamin B6) may diminish or keep some symptoms of ethionamide or isoniazid. On the off chance that the physician who endorsed the solution suggests this, make certain to take the pyridoxine consistently. Certain sorts of cheddar, (for example, Swiss and Cheshire) and fish, (for example, fish and skipjack) may cause a bizarre response in individuals taking isoniazid. Manifestations of this response incorporate quick or beating pulse, sweating or a hot inclination, chills or a moist feeling, migraine, tipsiness, and red or bothersome skin. This response is extremely uncommon. Notwithstanding, if any of these indications happen, check with a physician as quickly as time permits. Rifabutin and rifampin will influence salivation, to sweat; tears, pee, dung, and skin turn rosy orange to ruddy dark colored. This is nothing to stress over. In any case, the stained tears may for all time recolor delicate contact focal points (however not hard contact focal points). To abstain from destroying contact focal points, don't wear delicate contacts while taking these medicines. Many many thanks to all of the Faculty members and researchers who informed and feedback that made this chapter possible and especially for Dr. Vandana Sharma, her assistance with the preparation of this Chemistry part. Special appreciation goes to Dr. Arvind Agarwal (chairman, Arya group of colleges) and Dr. Puja Agarwal (Group Director, Arya Group of Colleges) for providing such academic environment and publication motivational environment. WHO, October 2015. Archived from the original on 23 August 2012. Ferri Fred F. Ferri's differential diagnosis: a practical guide to the differential diagnosis of symptoms, signs, and clinical disorders. Philadelphia, PA: Elsevier/Mosby, 2010. Delhi: Allied Chambers India Ltd. 1998;352. Nicas M, Nazaroff WW, Hubbard A. Toward understanding the risk of secondary airborne infection: emission of respirable pathogens. J Occup Environ Hyg. 2005;2(3):143-54. Ahmed N, Hasnain S. Molecular epidemiology of tuberculosis in India: Moving forward with a systems biology approach. Tuberculosis. 2011;91(5):407-3. World Health Organization. "Tuberculosis Fact sheet N°104". November 2010. World Health Organization. The End TB Strategy: Global strategy and targets for tuberculosis prevention, care and control after 2015. Geneva: World Health Organization, 2015. Frick M. Report on tuberculosis research funding trends, 2005-2013. 2nd Edition. New York: Treatment Action Group, 2014. TB Alliance (Press Release). TB Alliance advances next-generation TB drug candidate into clinical testing. 2015. World Health Organization. Global tuberculosis report 2014. Geneva: World Health Organization, 2014. Furin J Case Western Reserve University, Cleveland, OH: Treatment Action Group, New York, NY. 2015. Frontières MS. Ready, set, slow down: new and promising DR-TB drugs are grabbing headlines but not reaching patients. Geneva: Médecins Sans Frontières, 2015. USAID and Johnson & Johnson (Press Release). USAID and Johnson & Johnson to tackle antibiotic-resistant tuberculosis. 2014. Destito M Treatment Action Group, New York, NY. 2015.
WHO. October 2015. Archived from the original on 23 August 2012. Cole E, Cook C. Characterization of infectious aerosols in health care facilities: An aid to effective engineering controls and preventive strategies. Am J Infect Control. 1998;26(4):453-64. Skolnik R. Global health 101 (2ndedn), Burlington, MA: Jones & Bartlett Learning. 2011;253. Journal of Antimicrobial Chemotherapy, 2000;45(6):859-70.